The Vicem 46 IPS isn’t just a head-turner. 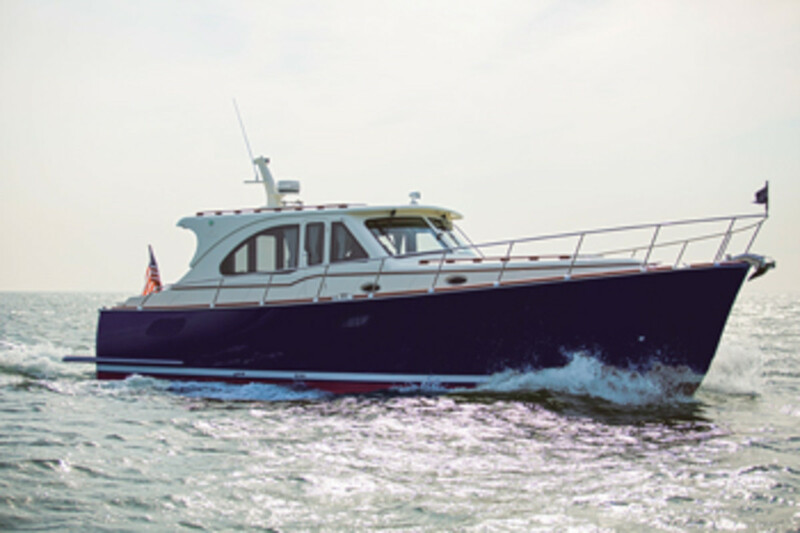 It’s also a boat of firsts for the Turkish builder. 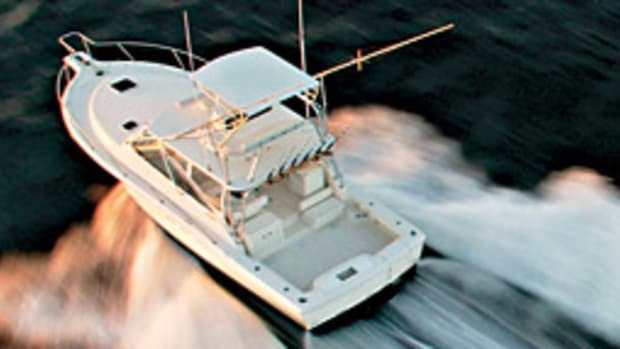 Known for high-end, cold-molded mahogany boats, Vicem builds the 46 IPS of fiberglass and composite coring. 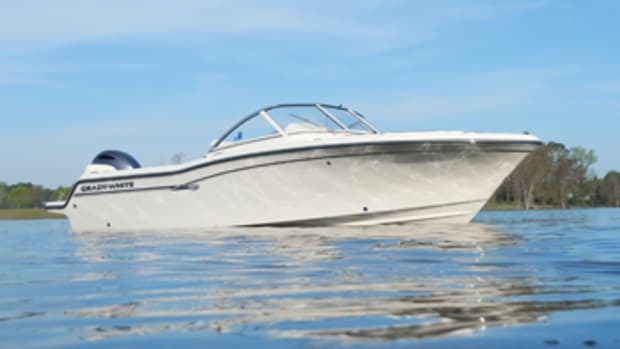 And it powers the boat with Volvo Penta’s IPS pod drives, another first. Like all Vicem models, the 46 IPS has superb interior joinery and woodwork. The layout is typical of Down East-inspired cruisers in this size range. A sliding door opens into the saloon from the cockpit. 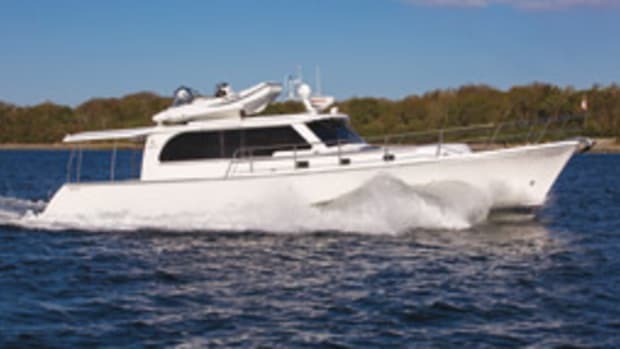 An L-shaped lounge is to port, a mahogany credenza is to starboard, and a two-person cushioned bench is at the starboard-side helm. Below deck, the galley is to port with a sink, microwave, stovetop and refrigerator. The guest stateroom, with twin berths that can be joined to form a queen, is across from the galley. The master stateroom is forward, with a queen-size island berth. Each stateroom has its own head. The cockpit is cozy and comfortable. 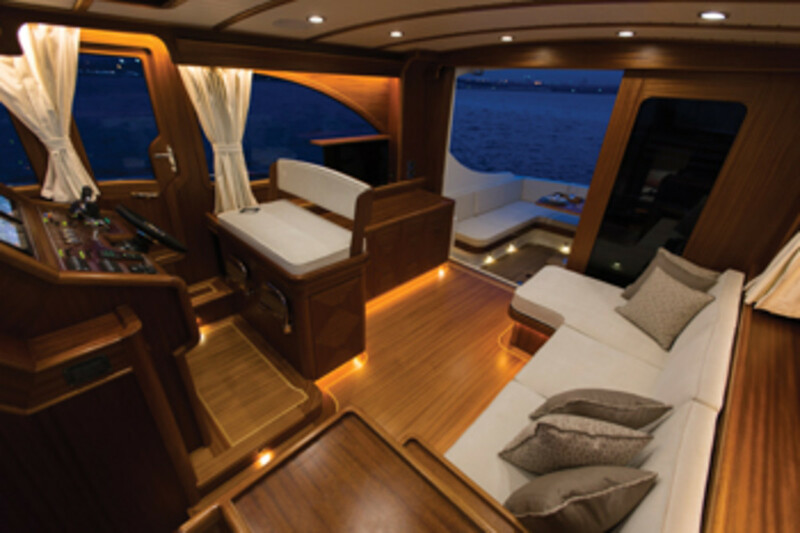 An L-shaped lounge along the transom and starboard side wraps around an expandable, flip-top teak table. There’s also a smaller bench seat with an adjacent wet bar. 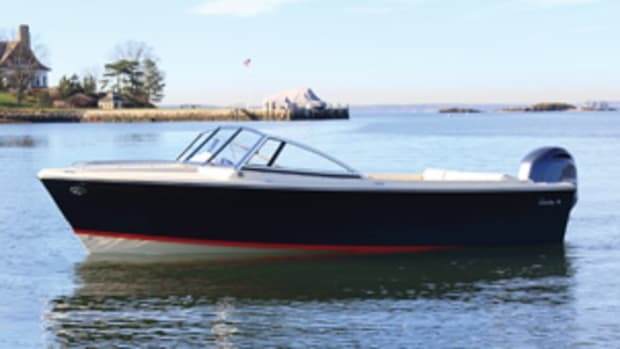 The combination of fiberglass/composite construction and pod-drive propulsion produces a graceful, swift and capable cruiser. 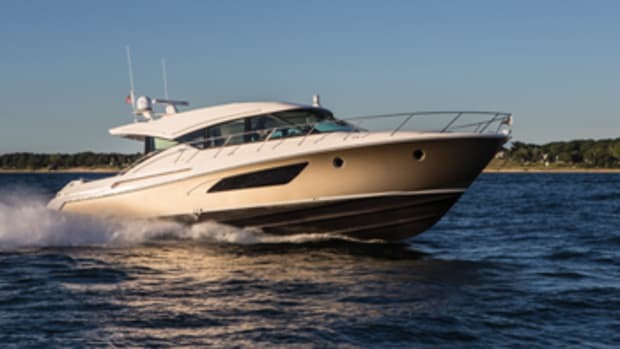 Twin 435-hp Volvo Penta IPS600 pods give the boat a top end around 30 knots and a cruising speed around 26 knots. Joystick controls allow easy close-quarters maneuvering. An opening door at the helm lets the skipper keep an eye on things while docking. 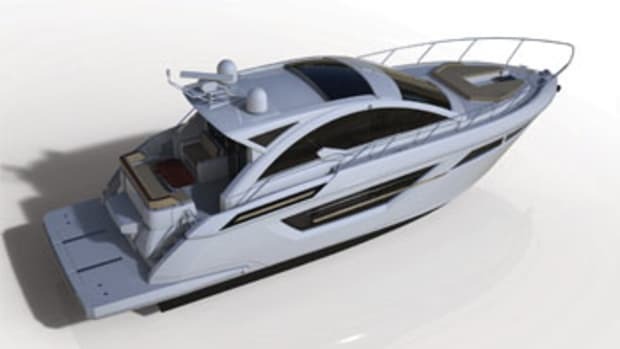 Vicem plans to offer a flybridge version of the 46 IPS and says these are just the first in what will be a full line of fiberglass IPS-driven yachts. 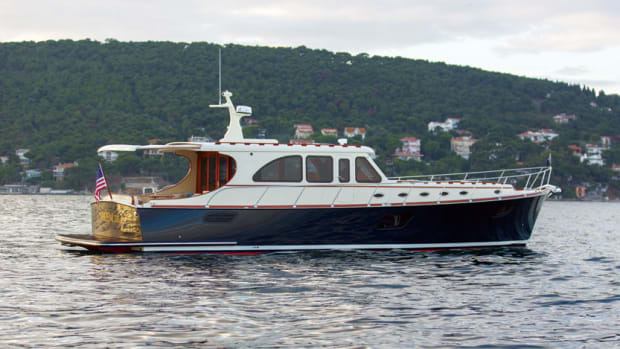 The new edition of the Vicem 58 Classic is an evolution of a design that the Turkish builder introduced in 2010. 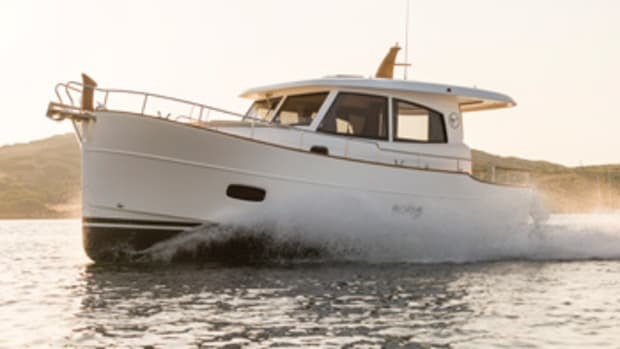 Vicem took the wraps off the boat at the Fort Lauderdale International Boat Show in November.